1. You’ve been denied for a credit card. If you’ve had a credit card application denied, it could be a sign that you need bad credit repair. Credit card companies are required to send you an adverse action notice letting you know the specific reasons that your credit card application was denied. If you were denied because of information in your credit report, you’re entitled to a free copy of the report. 2. Your utilities are in someone Else’s name. Utility services are among the many businesses that use a credit check to decide whether to extend services to you. If you can’t establish electricity or any other service in your name, it’s time for credit repair. Check your credit report to learn what negative items are affecting your credit score. 3. Debt collectors are calling you. When debt collectors start calling you it means your creditors have given up trying to get you to pay your bills. These collection accounts most likely appear on your credit report and affect your ability to get approved for credit cards and loans. Good credit repair involves settling these debts if it’s to your advantage or disputing them from your credit reports if they don’t belong to you. 4. You can’t find anyone to co-sign your loans. When you need credit repair, you probably won’t get approved for any loans on your own. If you can’t get any of your family and friends to co-sign for you, then you desperately need credit repair. Once you improve your credit, you’ll be able to get loans without having someone sign for you. 5. Your credit report is keeping you from getting a job. Many employers use your credit report to make hiring and promotion decisions. This is especially true for financial and top executive positions. Putting off credit repair can keep you from getting the jobs you apply for. Not all employers check credit as part of the hiring process. While you work on your bad credit, consider taking a job that doesn’t do credit checks. 6. Landlords won’t rent to you. Landlords check credit too. Bad credit can keep you from getting into a rental property, especially a larger apartment complex. Some landlords may be lenient on one or two late payments, but serious delinquencies will get your application turned down. To save you the embarrassment of being denied for an apartment, get credit repair before it’s time to look for a new apartment. 7. You’re afraid to check your own credit report. “I don’t have time.” “I don’t know how.” Bad credit can lead you to make excuses about checking your credit report when the real reason you don’t check your report is that you’re afraid to see what’s on it. The sooner you check your credit, the sooner you can start get the credit repair you need to create a credit report you’re proud of. 8. Your credit score is low. These days a credit score below 720 is considered sub-prime. If your credit repair is below 650, you definitely need credit repair. Now is a good time to check your credit scores. 9. Your interest rates keep going up. Credit card issuers often raise interest rates as a result of information on your credit report. When you’re late on payments to other creditors or a new collection account appears on your credit report, you might get an interest rate increase letter. 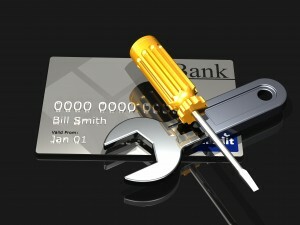 Credit repair can help ensure you get the best interest rates on your credit cards and loans. 10. Card issuers are closing your credit cards. Having just one credit card closed by your card issuer might not be a big deal. When several of your credit cards get closed, it’s a sign there’s something wrong with your credit. Calling your credit card company may shed some light on what’s wrong. Chances are you need credit repair to improve your credit standing. Have you been living with bad credit? Are you unsure of your credit standing but have a sneaking suspicion it’s not the best? Finally, don’t give up hope just because you have a low score. If you think there are mistakes on your credit report, you can get a copy of the report and fix the problem. For more information, call us at 317.837.4969 or visit InCreditable Advisors and see how to clean up your credit report and let us help you take the necessary steps towards rebuilding your credit.